Brighter for a more cutting tone. 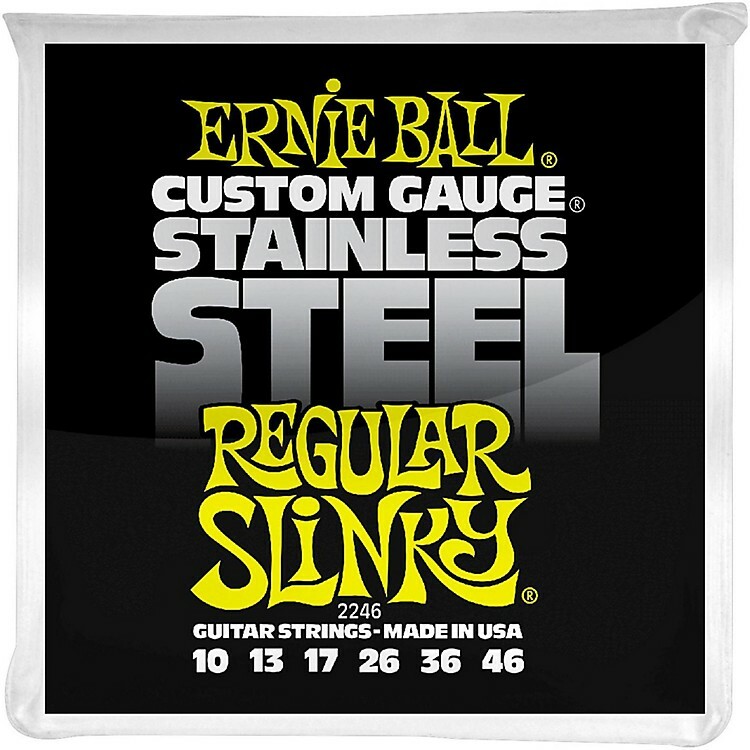 Ernie Ball 2246 Regular Slinky electric guitar strings are crafted from stainless steel wire wrapped around tin plated hex-shaped steel core wire. Provides brighter sound and extra string life. You'll definitely feel and hear the difference, and they last longer. Order today.